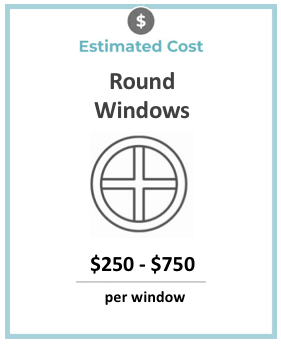 The average cost for a replacement round circle window installation is $250 to $750 per window + labor costs which can average around $38 per hour depending on your local window installers average price. See local window prices below. Round windows draw their historical origins from rose windows, many-mullioned stained glass specimens from Gothic cathedrals. Most modern round windows are much less ornate, but still serve some of the same purposes: to let in light and air and offer a design focal point for a structure’s exterior. 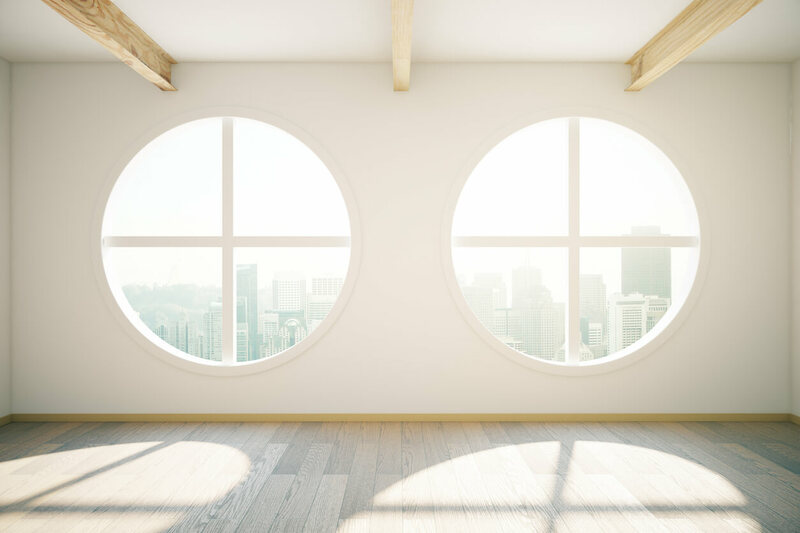 There are many types of rounded circle windows available on the market today, and not all of them are shaped in a perfect circle. Lumped into this category are quarter round, half round, elliptical, chord and oval windows, which have a circular shape, but are often combined with transom windows or doors to create an arch effect. Although circular windows complement many styles of houses, they look particularly at home on a Victorian coastal rambler. Many homeowners install them at the highest point of their homes, just below the roof’s peak, giving these spaces a quaint, antique feel. Round windows can come with grilles, decorative frames, or even stained glass, since these pint-sized portholes offer a wonderful opportunity to add a design statement piece to your home. Half round are frequently seen installed over doors or existing windows to create an arched look. Or you might see them overlooking the home’s exterior from the attic. Homeowners can choose to install fan-shaped window shades over half round segments for a little added privacy. Quarter round windows are typically grouped in pairs to achieve a half round effect, but they may also be installed as a single unit above a glass door for a more asymmetric appearance. Purchasing two quarter round windows and installing them together often saves a little bit of money, as opposed to a custom-fit half round window. Elliptical windows are very similar to quarter round and half round windows, but they have an oblong shape that makes them slightly wider and squatter than their rounded cousins. They also come in quarter and half segments. Some window manufacturers also offer chord windows, which you can think of as a midpoint between round and elliptical shapes. They are not as tall as round windows, and not as short and long as elliptical windows. 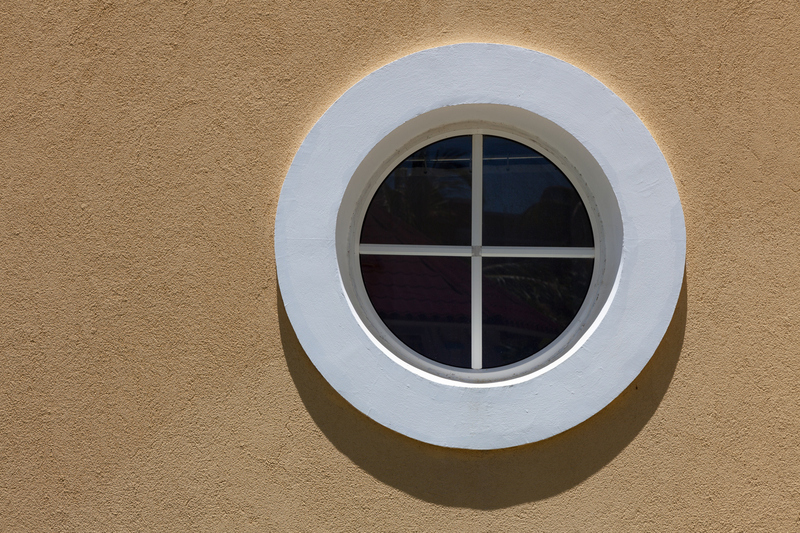 As their name suggests, oval windows come in the shape of an oval, meaning they’re taller or wider than round windows. They are very similar, and can also be installed with decorative frames as a design focal point. Almost all round, elliptical, chord, and oval windows are classified as window segments, which means that they are fixed, rather than operable. However, some manufacturers do offer pivoting round windows, which rotate 90 degrees outwards from the center point. Quarter and half segments are frequently combined with transom or picture windows or glass doors to achieve an arched configuration. This method offers slightly more structural integrity and durability than a single arched window, and generally costs less as well. However, keep in mind that all round windows are considered specialty shapes, so they’ll generally be somewhat more pricey than standard windows. Additionally, If you choose to add decorative frames, grilles, or stained glass to the window, it will likely drive up the price, as well. Round windows add a note of historical authenticity to your home, but they aren’t exactly considered on trend currently. For homes in contemporary styles, large picture windows or corner windows are a better design choice. Most homeowners choose to install round windows as a decorative accent in their homes. Therefore, it’s not uncommon to see round windows with ornate grills, frames, and casing. Additionally, round louvers, decorative glass panels, and custom shades are all part of the options homeowners use to add visual interest to round windows. These items typically drive up the cost of the window, however—especially if they have to be hand made by an artisan. To keep costs down, look for mass-produced items. As a specialty window, you’ll typically have a lot of flexibility on the part of your window manufacturer to achieve the measurements you need in your home. However, the manufacturer may offer some limitations on dimensions—particularly for elliptical and chord windows. Generally, these sizes are listed in the technical documents accompanying the windows. Or you can consult with your windows dealer to help pick the right window for you. A round window requires a lot more expertise than your average DIYer can handle. They typically necessitate cutting a new rough opening in the exterior wall—and a circular shape is much more difficult to cut out than your standard rectangle. Additionally, round windows may be a lot heavier or larger than a typical window, depending on the size you choose. For this reason, it’s best to seek out an experienced professional who can do the job for you. They can make sure you have an airtight seal between the window and the wall, to prevent air leaks and water infiltration.